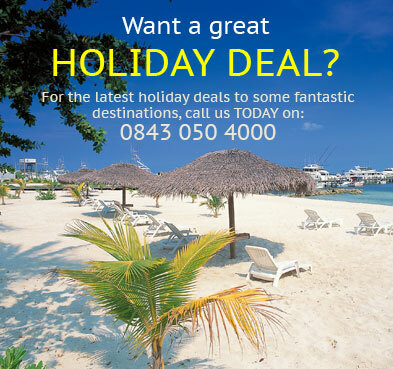 Find fantastic holiday deals to Spain. Discover incredible offers on Spain holiday packages and grab the best deals today with Instant Breaks. Spain, officially the Kingdom of Spain, is a sovereign state and a member state of the European Union. It is located on the Iberian Peninsula in southwestern Europe. Its mainland is bordered to the south and east by the Mediterranean Sea except for a small land boundary with Gibraltar; to the north and north east by France, Andorra, and the Bay of Biscay; and to the west and northwest by Portugal and the Atlantic Ocean. It is one of three countries (Morocco, France) to have both Atlantic and Mediterranean coastlines. Spains 1,214�km (754�mi) border with Portugal is the longest uninterrupted border within the European Union. Spain is considered an exotic country in Europe due to its friendly inhabitants, relaxed lifestyle, its cuisine, vibrant nightlife, and world-famous folklore and festivities. Among many places worth visiting are Spains thriving capital Madrid, the vibrant coastal city of Barcelona, the famous "Running of the Bulls" at Pamplona, major Andalusian cities with Islamic architecture, like Seville, Granada and C�rdoba, the Way of St. James and the idyllic Balearic and Canary Islands. Featuring the warmest climate on mainland Europe, there is no bad time to visit Spain. The peak tourist season is summer (June to August), when an amazing amount of foreign visitors flock to Spains famed beaches. The best time to visit Spain is probably during May or October, when the weather is generally warm and sunny, and the crowds are not as intense. +1hr (GMT +2 between March and October with Daylight Saving Time). Spanish, English, Catalan, Galician and Basque. British citizens must hold a passport, but no visa is required for a maximum stay of three months for those holding a passport endorsed British Citizen, British National (Overseas), British Overseas Territories Citizen, or British Subject. Other passport holders require a visa. Madrid Barajas Airport and El Prat Barcelona Airport are the busiest international airports in Spain, but there are several smaller airports commonly used by travellers as well, including Ibiza Airport, the Sur Reina Sofia Airport in Tenerife, and Palma de Mallorca Airport in Majorca. There are plenty of direct flights from the UK to a number of airports in Spain. The flight from London to Spain takes between one and four hours, depending on the destination. For the latest update-to-date Spain travel advice, click here. We have hand selected some great accommodation for you when booking your holiday to spain. For more information or to book, give us a call TODAY on: 020 8281 2205. Book your Spain holiday with confidence TODAY & SAVE £££'s!